There are a lot of different models of Set top boxes available and their Menu options are different. I was also confused by the various terminology used. I am using a cheap MPEG-2 (Older / cheaper set top box) and we will get 64 channels as mentioned in this web site. 1) First try and see what options need to be supplied inorder to scan and store the channels. Note down all existing parameters. 3) The following step needs to be repeated 4 times. Each time you will note that 16 channels get added. So total channels you will get is 64. Each time OK is pressed 16 channels get added. With this I was able to get 64 channels. If you are buying a new set top box go for MPEG-4 as in future channels will be added using this technology. Ye LNB 1 and LNB 2 Kya hai ? 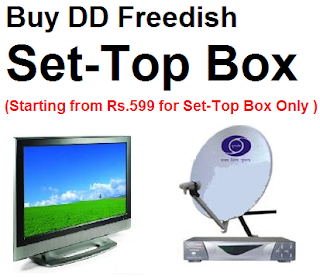 we have BEETEL SD-98 DIGITAL SET TOP BOX. Can please tell me the stepwise? so that I can get all new channels. and also where we have to enter these frequencies 11090,11170,11470,11510,11550 (V) & Symb.Rate 29500 you will get the result.